Northwest Territories Information, Rentals, Demographics, Recreation, Culture, Attractions, History, Tourist Information and Transportation. Northwest Territories rental properties are primarily found in the major metropolitan areas of Northwest Territories. Common rental types found in Northwest Territories are apartments, studios, lofts, one bedrooms, two bedrooms, condos, houses for rent, mobile homes, hotel rooms, vacation rental, furnished rentals short term rentals. Cities in Northwest Territories where housing rentals are found are Arctic Coast, Mackenzie Valley, Nahanni Country, Waterfalls Route, Great Slave Gateway, Wood Buffalo Country, Diamond Capital, Big Lake Country. Vacation rentals, short term rentals and furnished housing are more common in the metropolitan areas of Northwest Territories. The Northwest Territories is a federal territory of Canada, which is located in northern Canada. It has the land area of 1,140,835 square kilometers (440,000 sq mi) and its population is 41,464. Yellowknife is the capital of this territory from 1967, located on the north shore of Great Slave Lake. Geographical features include Great Bear Lake which is the largest lake, Keller Lake and Great Slave Lake. There is highest point Mount Nirvana at an elevation of 2,773 meters (9,098ft). The Northwest Territories has a slightly warmer climate and is mostly boreal forest. Culture is defined as acquired ideas, beliefs and knowledge that are shared by many people. There are two primary cultures in Northwest Territories namely indigenous and Canadian. Canadian culture has its roots in western civilization and basically from Canada's history, geography and market economy where as indigenous culture come from the nomadic hunting and fishing life of indigenous people. During 19th century, indigenous people contact with missionaries, and make important changes in its culture. From the 1970s signs of cultural change appeared in indigenous leaders. Traditional games are based on feats of strength and agility. Wood Buffalo National Park is the largest park which was established to protect majestic animals in 1922, located in the Northwest Territories. UNESCO World Heritage has given importance to the attractions of this territory. The territorial Department of Education, Culture and Employment are the government agencies responsible for post-secondary education in the Northwest Territories. Higher education in the Northwest Territories traces the development and expansion of higher education. Great Slave Helicopters Flight Training Centre applies Global Positioning Systems training for helicopter pilot education. Through the public school system, the citizens and permanent residents who have under the age of 20 are entitling to free education. The training programs and apprenticeship programs are used to prepare young people for careers under the main school system and this system is to meet the needs of indigenous communities as well as the general Canadian public. The Northwest Territories is a federal territory of Canada which is located in northern Canada and its capital is Yellowknife since 1967. The Northwest Territory was created in June 1870. 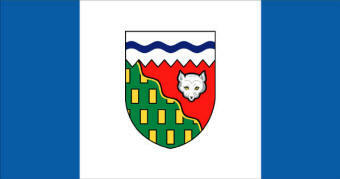 The first Northwest Territories government was formed in 1872 after the Temporary North-West Council is appointed. Northwest Territories delayed entering confederation due to the Red River Rebellion. And then both Northwest Territories and Manitoba entered into confederation in 1870. At first time the government was assembled at Fort Livingstone in 1876. The first territorial election took place in 1881. A separate Yukon Territory was created from the western NWT in 1898. This is the land where the world's best northern lights dance during the dark winter months and where the sun never sets during the summer. Northwest Territories consists 1.17 million square kilometres of mountains, forests and tundra threaded by wild, clean rivers feeding thousands of pristine lakes. Over 40,000 people live in this natural beauty. On this territory view the see herds of bison, prowling bears, moose and caribou by the thousands. In Northwest Territories transport and communication is very difficult in winter. All the rivers are close for two months of the year. The Great Slave Railway and the Mackenzie highway system link Northwest Territories to the Great Slave area, commerce. The Liard Highway was opened in 1984. In winter, some of the rivers and lakes are used for road traffic. There are also extensive telecommunications services. The NWT has fewer rights than the provinces. The commissioner of the NWT is the chief executive and is appointed by the Governor-in-council of Canada. By the recommendation of the federal Minister of Indian Affairs and northern Development commissioner will be elected. But the position becomes symbolic since 1967. The federal government has instructed commissioners to behave like a provincial lieutenant governor. From the 1898 to 1905, the government of the Northwest Territories does not have political parties and is called as consensus government. This group is composed of one member elected from each of the nineteen constituencies. After each general election, the new parliament elects the premier and the speaker by secret ballot. Aulavik National Park is a national park located on Banks Island in the Northwest Territories of Canada. The park has the highest concentration of muskoxen on earth, with estimates of 68,000 to 80,000 animals on the island. Nahanni National Park Reserve in the Dehcho Region of the Northwest Territories, Canada, approximately 500 km (311 mi) west of Yellowknife. The name Nahanni comes from the indigenous Dene language and can be translated as 'spirit.' Pingo National Landmark is a natural area protecting eight pingos near Tuktoyaktuk, Northwest Territories. Tuktut Nogait National Park is a national park located in the Northwest Territories of Canada. The park encompasses 16,340 square kilometres and is located 170 kilometres north of the Arctic Circle in the northeast corner of mainland Northwest Territories. Wood Buffalo National Park, located in northeastern Northwest Territories and southern Northwest Territories, is the largest national park in Canada at 44,807 km². The park was established in 1922. Northwest Territories economy is mainly based on natural and mineral resources. As of 2009 Northwest Territories gross product was C$76,000 per capita. BHP Billiton and Rio Tinto are the two great companies for resources in the earth. The Northwest Territories main mineral are Oil, natural gas, copper, diamonds, gold, tungsten, silver, uranium, nickel and cadmium. The Northwest Territories economy is also based on services, fishing, hunting and tourism. The services of Northwest Territories are government, electric power, geologic and transportation.